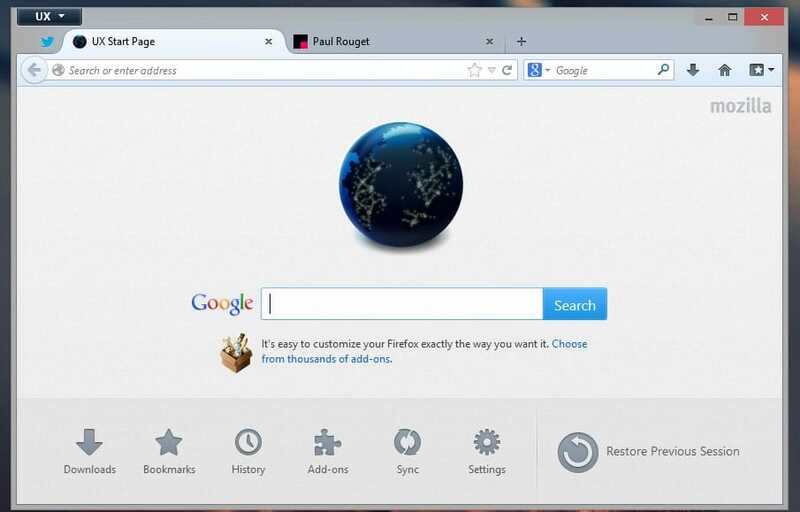 Mozilla's first draft of a proposal in regards to customization changes in the organization's upcoming Australis theme for the Firefox web browser caused some unrest on the Internet. It looked like Mozilla had the intention to dumb down the Firefox browser in many key areas to bring it closer to Google Chrome (with its bare bones user interface that does not allow many customizations) by removing options from it that at least part of the Firefox user base are making use of actively. A second draft of the proposal has been published yesterday, so lets take a look at what has been changed in that draft and what has not been. Before we start: Mozilla notes that several of the proposed changes can be undone with add-ons, and it is important to keep that in mind. Join the stop and reload button in to a single button. Prevent back, forward, url bar, stop and reload buttons to be moved away from the nav bar. The buttons can be re-ordered on the navigational bar. Remove the ability to hide the navigational toolbar. Hide collapsed toolbars during customizations of the user interface. Remove the add-on bar (formerly status bar). Remove primary UI for adding custom toolbars. If we compare this draft to the first, we will notice that several changes have been removed from it. The tabbar is no longer mentioned here and Mozilla notes in its second draft that the tab bar will remain a customizable area where users can move buttons to (with the exception of core nav-bar buttons). The proposals to remove small icons and block extensions from adding contents to the menu have been removed as well from this second draft version. The proposed changes are still adding limitations to the browser that were not there before. Not being able to move the navigational buttons to another toolbar for instance may make sense to protect regular users from breaking the browser, but will certainly infuriate users who have heavily customized the browser (for instance by moving everything into a single bar. Others may not like the fact that the add-on bar is removed from the browser, and that Mozilla plans to lump all add-on icons together on the main navigational toolbar as a consequence. I do not really have an issue with that if add-ons get created and maintained that bring back the functionality. I do not mind running a status bar add-on in the browser to bring back the status bar. Firefox has been very powerful in regards to customizations that users and add-on developers can make or add to the browser and Mozilla should do everything in their power to keep that advantage over Chrome and other web browsers. What is your take on the new proposal? I am long term user of Mozilla. I am happy so far. Don’t change it to please W8 developers. Let them drift wherever they want! Like this everybody will be happy. I like things as they are. Why would changing Firefox (a downloadable program) force you to “by” a new computer? And why would Mozilla “loose” (which means “not tight”; I think you meant “lose”) money on the stock market? Mozilla is a private company – it is *not* traded on the stock market. PaleMoon is already my default browser. Why is Mozilla trying to commit suicide? I’d actually say the decision to lock the navigation bar & buttons is a particularly good move. In doing some previous experiments I realized that I could remove every component from the location bar until it was completely blank (making it useless). If a non-technical user (a good majority of the internet) – or a third party – accidentally hid the navigation bar or removed any of the components, it could hobble or make the browser virtually useless to them. Who would get blamed? Firefox. For those technical enough to want to customize the nav bar, an addon isn’t a big deal. Isn’t that what a “reset” or restore to defaults” button should do? Don’t expect to get things “fixed” with addons. I’d be interested in knowing where/if any users are blaming Firefox for it. One of the core reasons for using Firefox in the first place, is not using a dumb browser! The only thing that really bothers me is joining the stop and reload button in to a single button. It’s a “feature” I hated from the beginning, but right now it is possible to separate them. As for the rest of the modifications and the justification that the user might be somehow broken, an easily accessible “Reset to default” button is all that is needed. I agree with the notion of having a “Reset to default” button. Is there really a “protect us from ourselves” movement going on? Why fix what is not broken? Limiting user choice is not an improvement. Having everyone resort to add-ons is not a solution to this manufactured “problem”. I like to keep as little amount of add-ons installed to suit my needs. first, I’m glad Mozilla appear to be taking feedback on board about these changes. Secondly, as a small screen user I’m particularly glad about the keeping of small icons. Not 100% sure about putting the add ons on navigation bar…. surely that will reduce space for address and search boxes? or is it to be a single button to click and reveal? If stripped away features need to be recovered through using more add ons, that one line could get quite crowded. Mike Conley seems to be really willing to listen to feedback. I give him props for honestly listening to feedback. It would been tempting to just ignore it b/c some of the feedback was obviously nonconstructive and over the line(aka the Mozillazine people), but changes to GUI goes to the heart of how people interact with the program so it is somewhat predictable. The only thing I see a problem with is the addon bar. I already hide my addon bar and put my extension icons in the navigation bar so it is no big deal with me. However, power users who uses tons of addons use the addon bar to keep their navigation bar uncluttered. If you remove one functionality you would be best to replace it with something else, with what? I dunno. Maybe allow users to make custom toolbar bars? Not good. At all. What the hell are they thinking about killing the addon bar? a second time? Dumb and dumber. The current trend. How stupid is it for users to have to deal with a browser – and an OS – that need more and more and more add-ons and third-party apps to make functional. I’m hoping Opera does not follow along. Firefox’s strengths are aimed at smart people who appreciate food prepared to order..
Chrome is designed for dummies who like fast food. Unfortunately, 90% of people are dumb casual browsers while 10% actually use customization. Basically FF is dumbing down their product to the lowest common denominator so they can be more popular. This is a great analogy to modern America – “instead of encouraging dumb people to be smart, let’s force smart people to be dumb.” FML. Well, it does not sound as hostile as the first draft, but seriously.. That Addon Creators have to create now an addon with special buttons to replace joined UI Elements… Is this meant to be seriously true? Just to remember everyone.. Addons can and will break with Firefox Updates, Addons can be abandoned, Addons can create compatibility issues with other Addons.. And mostly.. the memory usage is rising! That V2 Draft has so many new ticking future time bombs inside, its amazing. Should that half hearted attempt to make piece with the community save Firefox really from vanashing into the land of the forgotten Browsers? Anyone REALLY is believing that? This can not be meant seriously! Devs, make that Features completly disappear without the chance to recreate them or just create a special switch in about:config which spares more advanced users that addon stupidity. I need an addon which creates 2 seperate buttons to let joined ui elements disappear or an addon which enables me to move UI elements again at a place where i want…. Just looking forward for the outcry of the masses about the compatibility issues which can and will a move like that create! This seriously can not be considered as a working solution! Everyone with a brain understands even half awake that that will only create so much more issues! Still no. Why would “removing” flexibility be an improvement? If I wanted a browser like Chrome, I would use Chrome. I use Firefox because it allows me to do things. Now you want to take away options that are important to me, saying it will be ok because add-ons could be used to fix it—assuming the add-ons are created! Is Mozilla going to create add-ons to give me back all the options they want to take away? Sounds like twisted logic. I have been a daily user of FF for years, but these changes will definitely have me looking elsewhere. At least in theory Addon Usage is quite a nice stuff. But as you said, when there is no real need for using any addons – why creating the need for using addons. It is not like you install such thing and you are done and happy forever. You have memory leaks, problems with other addons, the usual Rapid Release big break of addons…. I am using Firefox already before even the First stable Version was released. That is quite a long long long time in the past already :) And so far i never have been thinking to change to another browser. Give Palemoon a closer look, Will feature no Australis, has the old download manager, keyword.url, you can as it seems and you will be able as it seems to customize as you wish even in the future with that one. the FF team have been making nice incremental improvements for a while now. Satisfying the vocal minority is what lead to their decline and stagnation IMHO. I rebuilt my (corporate) office machine and it’s the first machine I have used anywhere since I switched to Opera circa 2005/6 that does not have Opera. FF has won me back fair and square. Customization is not only liked by a small amount of Firefox Users. And only why the “masses” demand Chrome simplicity everyone should be happy now with a Google Chrome Clone? Firefox is the browser of the masses. Without extreme advertising and magic-ing chrome on to peoples computers there would not be very many chrome users. Using Firefox is a conscientious choice by the masses. I like my setup using the tab bar and nav bar, so the changes would not affect me. But I easily understand users wanting to put everything on the tab bar in order to maximize vertical real estate. And I easily understand users wanting the addon toolbar because they have dozens of addons. The addon bar should just be an extra toolbar. Addons should put their buttons on the nav bar. And users can move them to the extra toolbar if they want. If the problem is that Firefox is unusable if the address, back, or forward are hidden, then prevent them from being hidden. Don’t allow moving address, back or forward to a hidden toolbar, and don’t allow hiding a toolbar with address, back, or forward. Add-ons cannot replace all functionality. It depends who makes the add-on. Almost always, a native option is the most high-quality trouble-free implementation. I try not to use add-ons because it fouls up the browser. In fact, the more add-ons I have to use for a browser, the less-likely I am to use the browser. People use Firefox because of its customizability. I understand needing to remove stuff. But Mozilla should do research (like Canonical does) to determine what stays and what leaves. I’ve always HATED Firefox’s Large icons. They are way too big and out of proportion with the browser’s other chrome. Now this will be the only view users have as the small icons option is likely to be removed. What a disappointment! Final proposal – https://groups.google.com/d/msg/firefox-dev/28GuuosKxn4/pR77QHiTeVUJ – It’s still as bad, with no real justification for the changes proposed. I have used Mozilla’s Firefox browser since its inception, until about version 15. I now user Opera as my default browser and am unlikely to ever go back. The changes to the interface have made it progressivly more ‘chrome-like’ – which if I wanted to use – I WOULD. I have no use for a minimalist browser that is all but unuseable ‘out of the box’ on a desktop or laptop computer. I thank them for their years of good work, and now I thank them to stay off my, my family members, and my clients computers as they offer NOTHING compared to their competition and only create a hastle of using several add-ins to create the browsing experience people liked, that recent decisions have taken away from the end user. Long live Opera, Qupzilla and other options!